Hogs Back Brewery has signed up Hospice Care charity Phyllis Tuckwell to its unique hop adoption scheme. Having chosen Farnham-based Phyllis Tuckwell as its Charity Partner for the forthcoming year, the Surrey brewery invited the charity to take part in the ‘Adopt a Hop’ project. Local residents, charities and businesses have been invited to plant their own hop in the Hogs Back’s new hop garden and get involved in helping it flourish from now until harvest next September. The new hop garden spans 8.5 acres, more than double the size of the previous site. 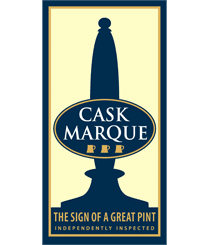 It is located within Manor Farm in Tongham, where the brewery itself is sited, in a prime location on the best land on the farm. As part of the move, Hogs Back has offered the public the opportunity to Rehome a Hop by taking home a Pioneer variety dwarf hop plant for their own garden, in return for a suggested £5 donation to Phyllis Tuckwell. Phyllis Tuckwell’s corporate partnerships manager, Nick Adams, recently visited Hogs Back Brewery’s new site to plant the charity’s own hop. Hogs Back are planning more fundraising activities for the next year, the proceeds of which will be added to an additional £10,000 which they have already pledged, to be presented to Phyllis Tuckwell in September 2019. All the money raised will go towards helping fund the vital supportive and end of life care which Phyllis Tuckwell offers to local patients and families who are living with an advanced or terminal illness, such as cancer. Marking its 40th anniversary in 2019, every day Phyllis Tuckwell supports over 250 patients, relatives and carers – in their own homes, in the community, at the Hospice in Farnham and at the Beacon Centre in Guildford – through medical and nursing care, therapies, counselling, social work advice and practical support. However, as the NHS/Government only covers 20% of its costs, it has to raise over £20,000 a day to be able to do this.